Programs offering therapy and job support to young men are sparse, but experts say this age group is at the center of Chicago’s gun violence. 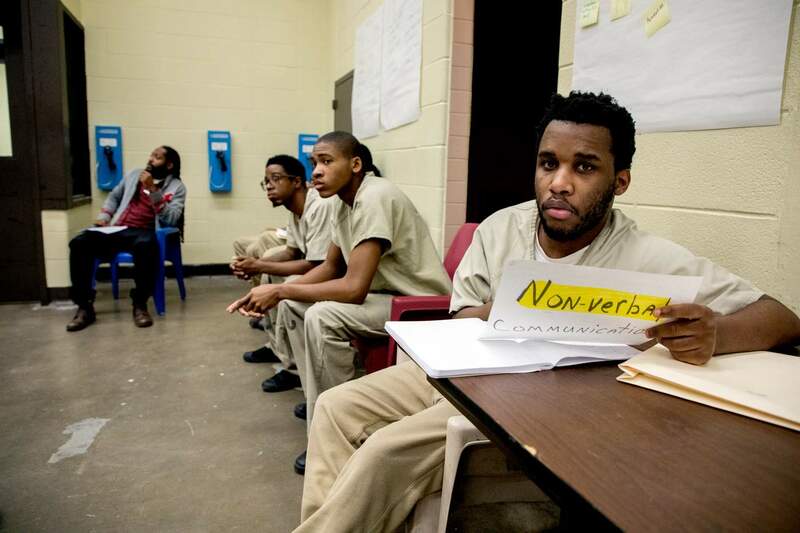 Inside Cook County Jail, about 30 inmates gathered in a windowless room to talk about what they would do if they found out their child was being bullied at school. The young men first joked that they’d teach their sons to beat up the bully — or maybe go to the school and intimidate the tormentor themselves. But later they got serious, and contemplated whether there was a nonviolent way to deal with the situation. “You want us to lead by example,” said one young man. 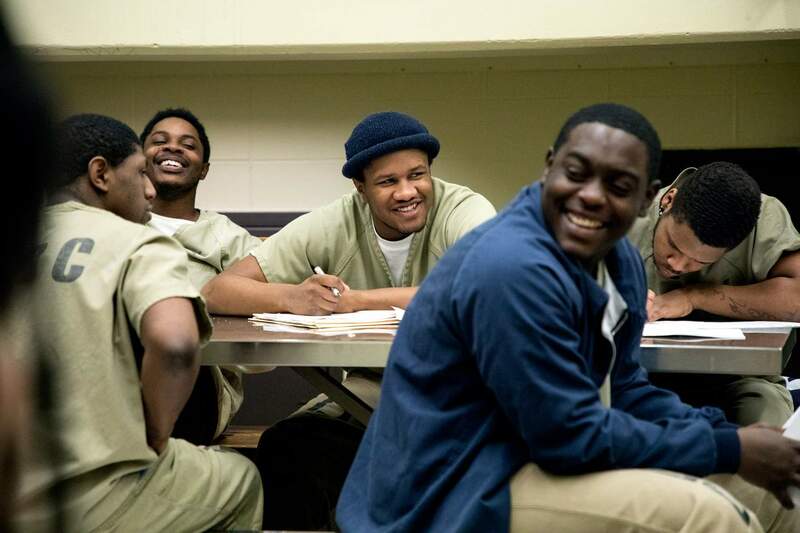 The men in this room, between 18 and 24 years old, are at the epicenter of Chicago’s violence. They’re what experts call “disconnected,” not working and not in school. More men in their late teens and early 20s were killed or arrested for homicide than any other group in Chicago last year, according to the University of Chicago Crime Lab, which did a comprehensive study of violence in the city last year. And almost all of those killed or arrested for murder had previously spent time in Cook County Jail, according to the study. 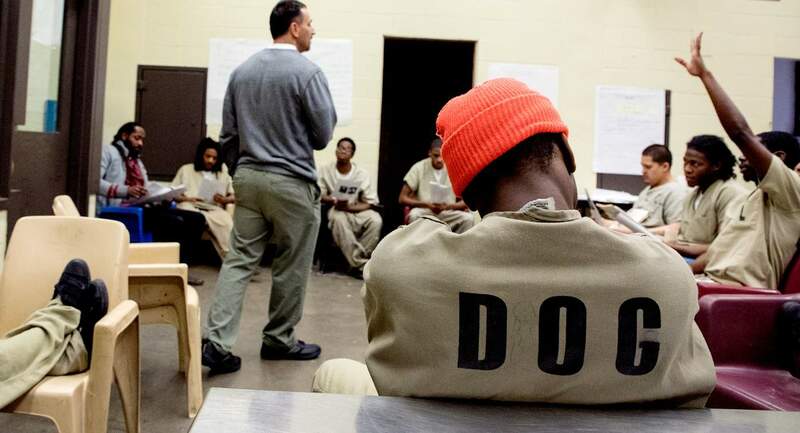 Last year, Cook County Sheriff Tom Dart started a program called SAVE, which brings in social workers and therapists to help these young inmates change their trajectory. But Dart found few organizations that would agree to work with him. The sheriff and other experts said a lack of funding and a high risk of young inmates returning to criminal behavior have kept potential organizations and employers from making a commitment to this age group. Not helping these young men is a mistake, said Roseanna Ander, executive director of the Crime Lab. “If we don’t do anything with that population, if we are not thinking about how to reach that population right now, we are going to continue to have high rates of violence,” she said. The Crime Lab found that 44 percent of all the people charged in a Chicago homicide last year were between the ages of 18 and 24; it also found that group made up a third of the nearly 800 homicide victims. As Chicago’s homicides escalated, reaching an almost 20-year high in 2016, community leaders and politicians sounded alarms, insisting that more needed to be done to curtail the violence. Dart said he expected a flood of public and private money to directly help the thousands of young men who pass through the jail every year, but that didn’t happen. 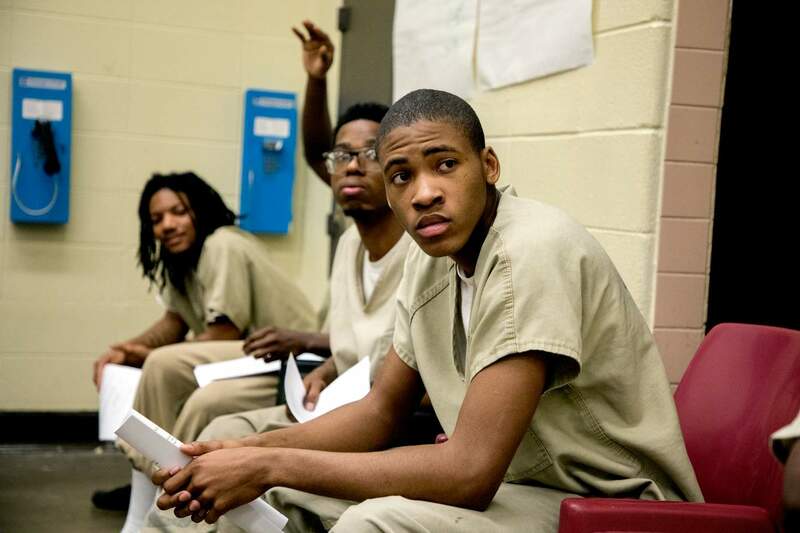 About 11,000 men between 18 and 24 spent some time in Cook County’s jail last year. About a third of them were there on petty misdemeanors and only stayed a few days. Another third stayed for more than a month, according to the sheriff’s office. There isn’t an official list that shows all services available to former inmates. But a company called NowPow is developing a directory of all social service organizations in Chicago, what they do and who they serve. They found 118 organizations in South and West Side neighborhoods with programs for people with criminal backgrounds. Of those, just five have programs specifically for these young adults. Dart and his team worked with NowPow to try to find outside organizations to partner with for their own program within the jail. They wanted to offer participants group therapy and a chance to learn life skills needed to get a job once they were released. Dart’s office looked for organizations that could offer a range of programs, from cognitive therapy to job placement, and could work within the jail and stick with the young men when they got out. Studies have shown these young men need and want jobs, yet, because many of them have spent years out of school and out of work, they falter in the workplace without support. The sheriff’s team reached out to social service and job placement organizations that they thought might be willing to participate. They picked organizations in the city’s 15 communities that sent the most young people to jail, according to the sheriff’s office. “We had a lot of people turn us down,” Dart said. In the end, just 11 organizations out of dozens they reached out to signed up to partner with Dart. Elli Petacque Montgomery, the jail’s director of mental health who runs Dart’s SAVE program, said many young inmates tell her that even once they decide they want to change, they feel as though they are on their own. “They will say, ‘no one is here to help us,’” she said. Montgomery said what the SAVE program is asking of young inmates is a heavy lift. “We are asking them to quit smoking, lose 20 pounds and get ready for a triathlon,” she said. It requires that kind of a lifestyle change. Montgomery said it’s no wonder then that so many social service organizations find it hard to work with these young people. Lila Leff, who runs a new program that has been set up specifically to get 18 to 24 year olds jobs or other training, said these young men are not used to being involved in any structured activities. “These are the guys who came once and then never came again and dropped off somebody's rolls,” she said. Leff said the young men she is working with don’t always make the seemingly logical decision, and don’t always return the next day. And they are not like some of the older men, who, after spending years behind bars or on the street, are ready for change, she said. Leff’s group, Chicago CRED, was created by former U.S. education secretary Arne Duncan with money from the Emerson Collective, a foundation funded by Apple Founder Steve Jobs’ widow Laurene Powell. Leff tells the story of Jeremy Berry, who has a strong connection to 114th and State streets, the block where he grew up. Berry and his mother became homeless when he was in fourth grade and a neighborhood family on that block took him in, he said. As a teenager, he said he was kicked out of that home, but other families on the block took him in and let him sleep on their couches. And while that block was Berry’s home, it was also the place where he had gotten into a lot of trouble. He said he spent a year in jail for a gun charge, he’s been picked up numerous times for possession and drug dealing and he was shot twice — once in the chest. This spring, Berry looked like he was going to be a success story with the programs. Berry was part of the SAVE program while in jail on drug delivery charges last year. 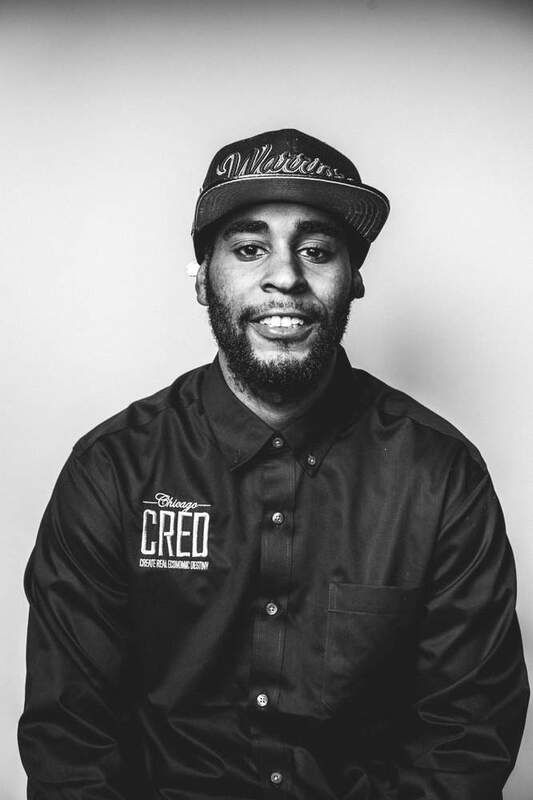 Once released, he participated in a three-week training program run by Chicago CRED, that, along with more therapy, attempts to introduce participants to a new group of guys who are all trying to change their paths. In May, Berry got a full-time job through Chicago CRED. But just recently he was arrested again on criminal trespass charges connected to a domestic situation, according to court records. He bonded out of jail and went back to work, according to Chicago CRED. And now, even with the job and his own apartment, he still finds himself going back in the evenings to the block he grew up on. He said he usually leaves before dark, which is when he says more of the shooting and other illegal activities take place. “That is all I knew for all the time I been living is the block, going to the block, kicking it with my homies doing all that, working this job and doing all this is something really new to me,” he said. Leff said she would like to force him to not go back to that block. After Berry’s friend got killed in March, there’s heightened conflict and chances of getting shot, she said. Still, she said she must accept what Berry can handle right now and continue to work with him, hoping that he survives long enough and stays out of serious trouble to completely break free. It’s the intensive support that is so time-consuming and so expensive, and one reason so few community groups can offer the array of services and job placement that young people need, Leff said. The lack of services and support for this age group is also about money, Dart added. What public and private funding is available is often directed toward juveniles and older adults. The city’s Department of Family and Support Services lists resources for children, youth under 18, and the elderly. Cliff Nelis, executive director of the North Lawndale Christian Legal Clinic, which provides lawyers and job placement and other services for teens and young adults charged with a crime, said he has problems finding money to pay for programs for adults in their 20s. His legal clinic is one of the groups that joined Dart’s new program. They have some young men learning to do construction, while others are working as custodians. Sarah Karp reports on education for WBEZ. Follow her at @sskedreporter and @WBEZeducation. Correction: An earlier version of this story misspelled Elli Petacque Montgomery.